It started harmlessly enough, with a simple sticker. Most startups have 'em and stick them, for better or for worse, on everything. At various points of SXSW, I was unpleasantly surprised to find a sticker of some startup tangled up in my hair. 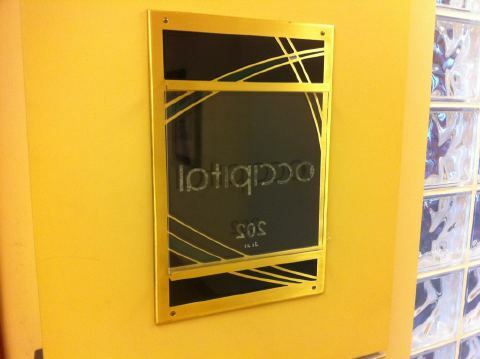 But to slap your company's sticker onto the front door of another startup? That's throwing down the gauntlet. 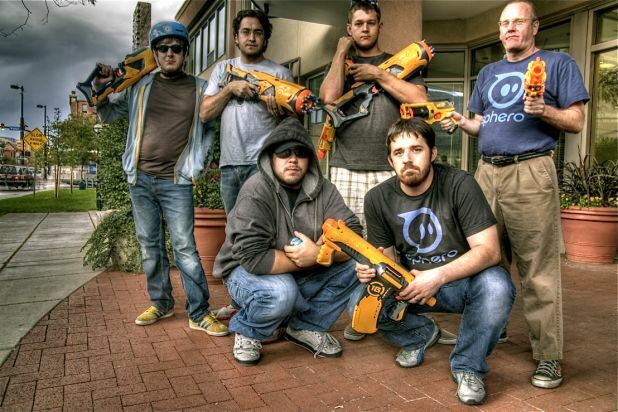 And that is how Occipital and Orbotix, two startups in Boulder, Colorado, have found themselves embroiled in a full-blown prank war, complete with robots, nerf guns, Annoy-A-Trons, and sneak attacks. It's a geekified Hatfield-McCoy feud. And it's not over yet. Both Orbotix and Occipital are both portfolio companies of Foundry Group. They're both operating out of downtown Boulder, and they both have major pride in their products. The founders of Occipital actually invested in Orbotix. That's where the common ties end. And just so you can keep this straight: Occipital makes 360-view mobile platform products. 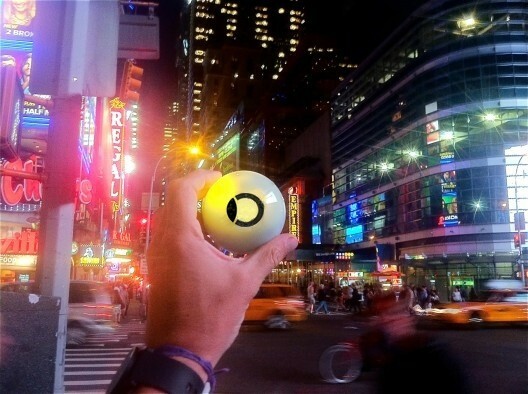 Orbotix makes Sphero, an iPhone-controlled robot ball. 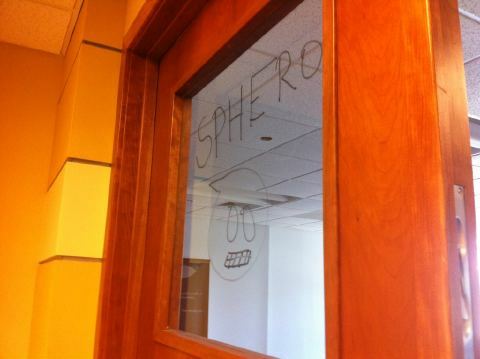 After Orbotix-ers Adam Wilson and Ross Ingram slapped a few of their stickers on Occipital's front door, Occipital retaliated with some old-fashioned tagging of Orbotix's office doors. The tagging went back and forth for a few months. And then, last fall, Occipital tweeted at Orbotix with a sneak peek of its latest "product," a round white robot ball that looks exactly like Orbotix's Sphero ball. It's name? Occipiball. An Occipital insider tells me, "Our patent lawyers won’t allow me to say too much about the status of that project, but for some reason it bothered Orbotix." In feud-speak, I believe this is what we call escalating. After a month of plotting, Orbotix retaliated with a surprise attack. 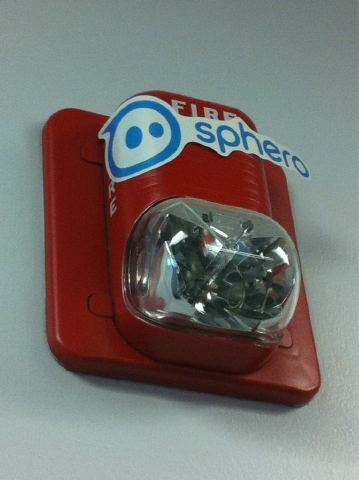 In what I consider to be a stroke of genius, the team sent a Sphero robot-ball to knock on Occipital's door. It was the first one Occipital had ever seen, and when they opened the door to take a look, Orbotix's team barged in, guns literally a-blazing. Nerf guns, that is. Seven Orbotix engineers attacked the office with foam arrows and, as a cruel reminder of the feud's simple beginnings, slapped their stickers on every visible surface. 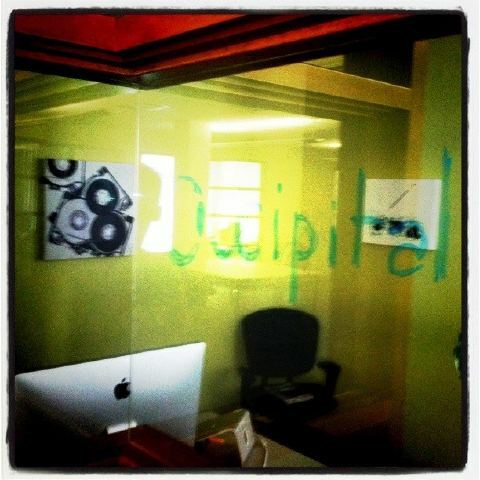 Occipital employees say they're still finding them in various corners of the office. Naturally Occipital's next attack would require some sophistication. Forrest Heller, the company's Chief Retaliation Strategist (or so I'm told), acquired several handfuls of Annoy-A-Trons, tiny noise producing devices that can be easily hidden anywhere and produce random beeping noises for up to a month. The product's description notes that the Annoy-A-Tron reminds its victims of "what a thin and fragile thread keeps us attached to sanity." Sneaking into the office on the pretense of borrowing an Android device for testing, Heller stuck Annoy-A-trons onto desklegs, a coat rack, even somehow inside Orbotix's company Xbox. "Very annoying indeed," an Occipital rep tells me. Orbotix's Ingram has allegedly blamed the incident on an unsuspecting intern. Both sides maintain it's a friendly feud, but non-stop beeps coming from an unknown source? That's worthy of an all-out war. Orbotix has been plotting -- insiders tell me Occipital should be "very, very scared." Images via @Chucklepley, @Occipital, @Orbotix, @savvysarahjane.